Elegant, encased by glass windows with an abundance of natural light, The Hills Room is located on the ground level of the Hotel. Providing flexibility of personalising the size of the space for each individual client. The Eatons Hill Day Delegate Package is perfect for business meetings, workshops, presentations, and seminars. 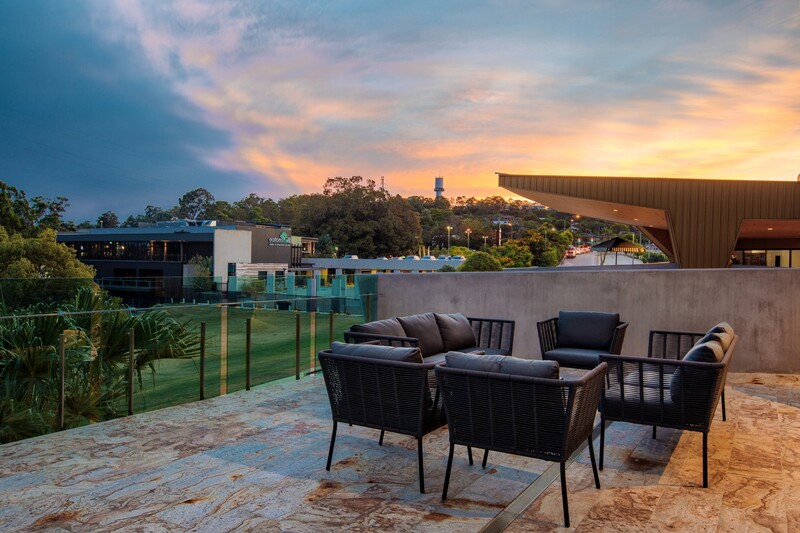 Escape the city and conference in fresh contemporary style at the Eatons Hill Hotel. Celebrate your special occasion at the Eatons Hill Hotel with spacious event areas and panoramic views of “The Green”. Savour the elegant surrounds and panoramic views of the Hills Room for your wedding celebration. Looking for other function spaces? Boasting over 16 function spaces, the Eatons Hill Hotel can cater for elaborate and sophisticated celebrations, to more casual parties and cocktail events.